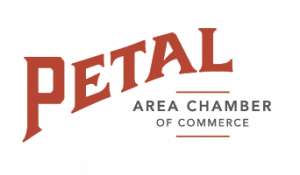 Welcome to the Petal Area Chamber of Commerce website (the “Site”), owned and operated by The Petal Area Chamber of Commerce (the “Chamber”). Please review the following legal notices and terms and conditions of use (collectively, the “Terms”) and note that your access to and/or use of our website constitutes your consent to, and agreement to be legally bound by, these terms and conditions. There may be additional terms and conditions stated elsewhere in this website that apply to your use of particular functions and features. If you are a copyright owner and believe that your work has been copied and posted on the Site in a way that constitutes copyright infringement, please provide us with notice containing the following information: (i) a physical or electronic signature of a person authorized to act on behalf of the owner of an exclusive right that is allegedly infringed; (ii) identification of the copyrighted work or works claimed to have been infringed; (iii) identification of the material that you claim is infringing and a description of where the material that you claim is infringing is located on the Site; (iv) your address, telephone number, and e-mail address; (v) a written statement that you have a good faith belief that use of the material in the manner complained of is not authorized by the copyright owner, its agent, or the law; and (vi) a statement that the information in the notification is accurate, and, under penalty of perjury, that you are authorized to act on behalf of the owner of an exclusive right that is allegedly infringed. Any notification by a copyright owner or a person authorized to act on its behalf that fails to comply with these requirements will not be considered sufficient notice and will not be deemed to confer on the Chamber actual knowledge of facts or circumstances from which infringing material or acts are evident. You must send the written notice to: Controller, The Petal Area Chamber of Commerce, P.O. 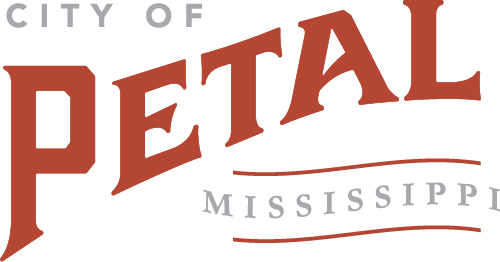 Box 421 Petal, MS 39465 or info@petalchamber.com. The Chamber may modify these Terms at any time. You should visit this web page periodically to determine the current Terms that apply. These Terms shall be governed by the laws of the State of Mississippi, excluding its conflicts of law principles. All actions and proceedings relating to this website or the Content shall be commenced and heard exclusively in the state and federal courts for Forrest County, Mississippi, and the Chamber and you consent to the jurisdiction and venue of those courts.